Check out the g-force and heart rate meters in the bottom-left of the face shots, and altitude in the bottom-right. 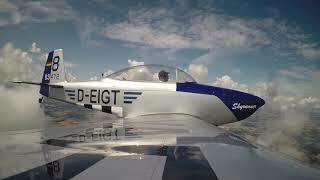 Hermann Schiele demonstrates his flying skills over Germany in his most perfect RV-8. 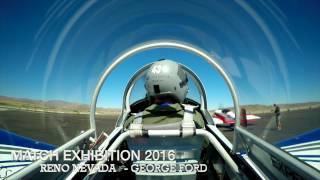 RV-6 aerobatic routine at the 2018 Red Steward Airfield Airshow. 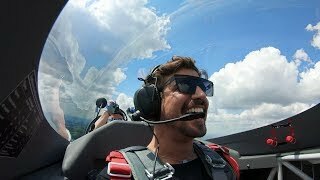 Take a mind-blowing flight over the German countryside with Caio Castro and Red Bull Air Race World Champion Matthias Dolderer. 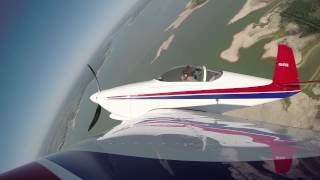 It's not every day you get to co-pilot a Zivko Edge 540 V3. 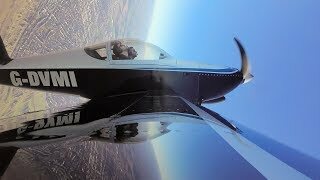 A fun aerobatic flight in a Van's RV-7 by Vzletim. 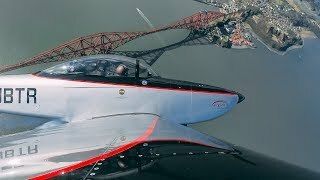 An RV-8 flight out of Prestwick, through the Pentland Hills, and over Edinburgh to the iconic Forth Bridges. 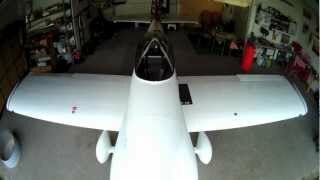 This is the first public appearance video of this formation flight team. Two incredible Van's RV-8. 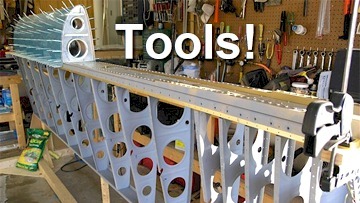 The best dream, build, test, fly toys. 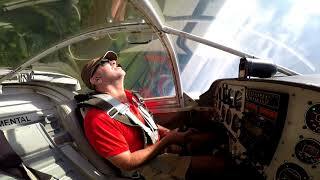 Eye candy for any Pilot! 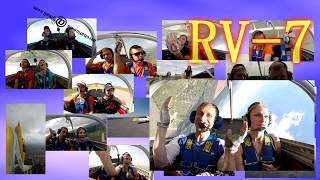 See what it is like to ride in a Vans Aircraft model RV-8 Pushing 4.7 g's. around the pylons. 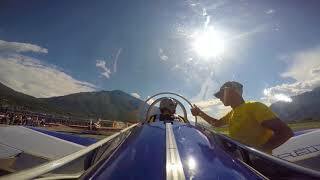 This aircraft was outfitted with a 10lb Nitrous Oxide tank and able to push 230+ mph down the chute at the start of the course.